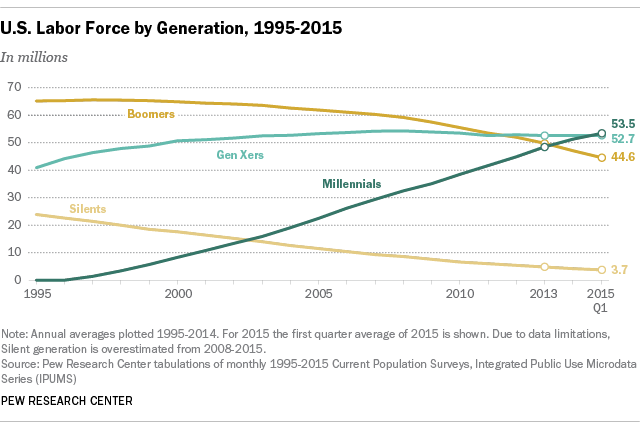 In 2015, Millennials surpassed Generation X to become the largest share of the American workforce. In 2016, Millennials surpassed Baby Boomers as the nation’s largest living generation at over 75 million people (Pew Research Center). The Arketi Group conducted an online survey with B2B managers and executives that showed Millennials had the highest percentage of decision makers who reported they had budget and/or final sign-off authority in technology purchases or contracts worth $10,000 or more. Millennials are becoming organizations’ leaders and buyers. The generation continues to grow; it’s projected to make up 50% of the workforce by 2020 (Pew Research Center). So, what do B2B organizations need to know about their new employees and buyers? We require transparency. I was born in ’92 (cue eye roll). Facebook was founded when I was 11. I’ve grown up, along with the rest of my cohort, able to see and read the intimate details of people’s lives in seconds. I did school projects on Google Docs looking at the edits of my peers in real-time when they weren’t even in the same building. When I came into the workforce I expected the same transparency between colleagues, departments, and the tools we use to help with our success. As a marketer, I’m in the middle; my job sits between the pricing and product teams and the sales team. The thought process from product to pricing to marketing to sales should be seamless. We should all be on the same page in regards to the value we are creating, capturing, and communicating to ensure our customers’ success. We don’t want to waste your time, and we especially don’t want to waste our time. Long sales PowerPoint presentations focused on “About Us”, your product features and benefits lead Millennials to think, “If you’re just going to reiterate the information that’s on your website, why do you have a website at all?” *Scrolls through Instagram* Deal lost.